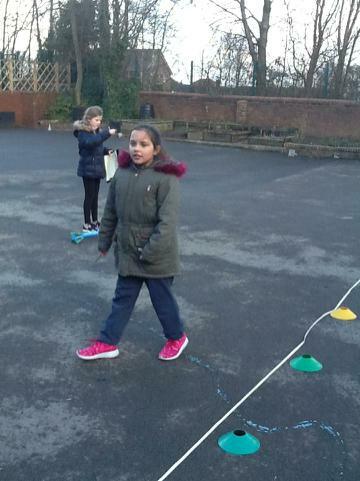 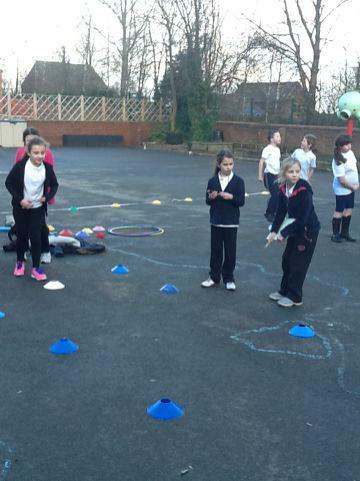 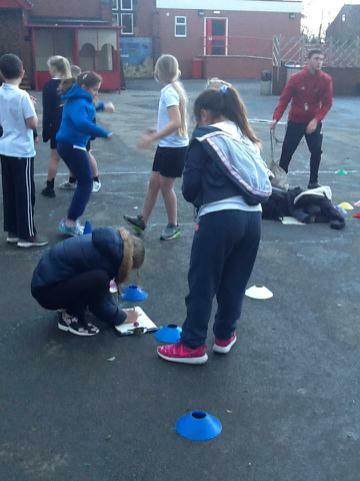 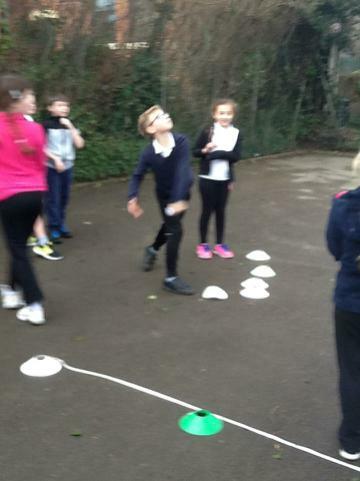 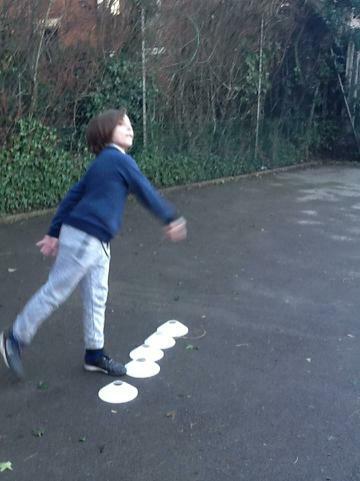 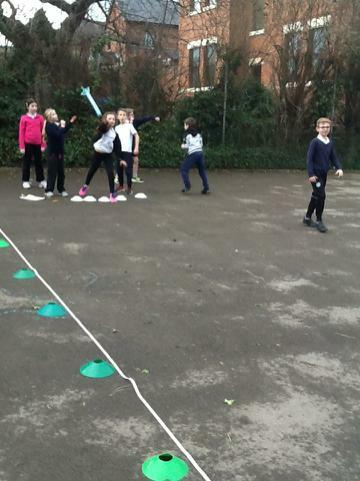 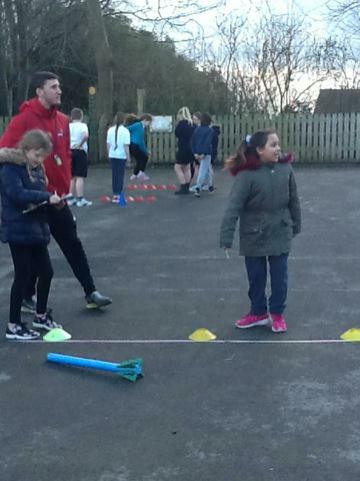 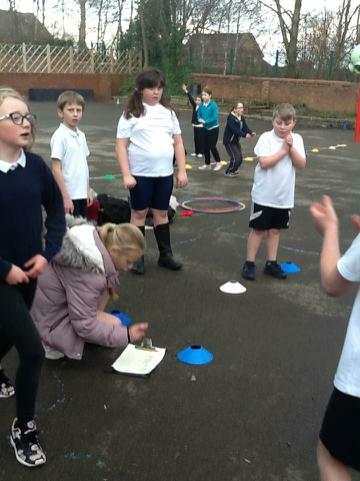 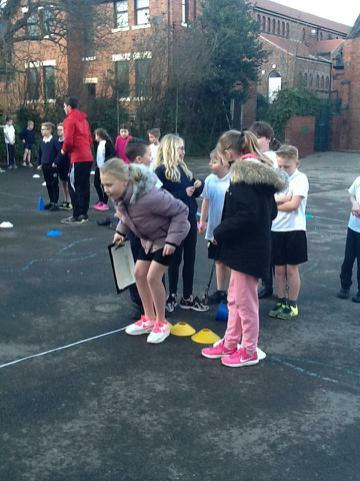 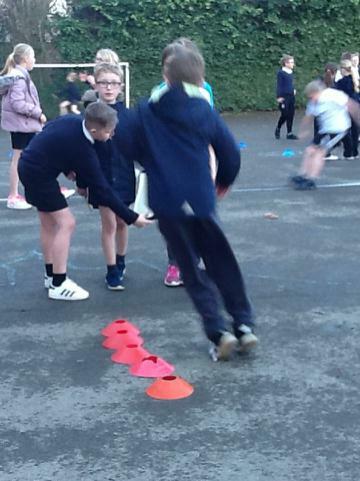 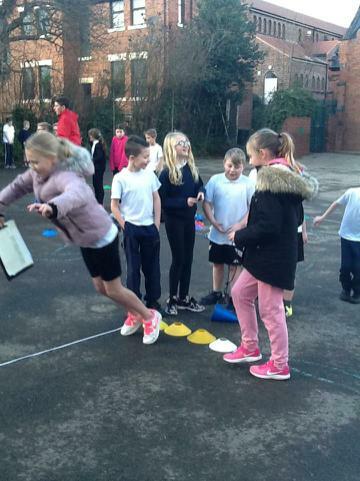 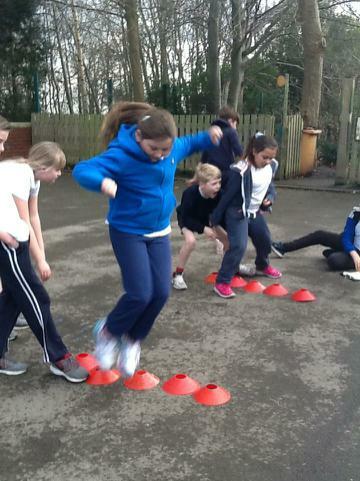 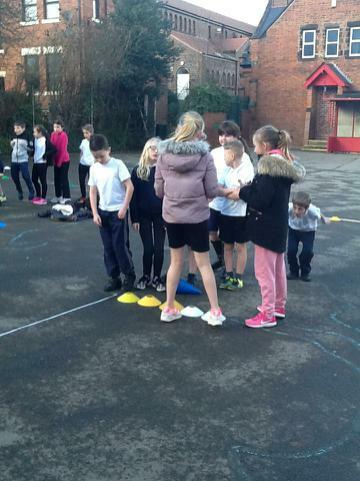 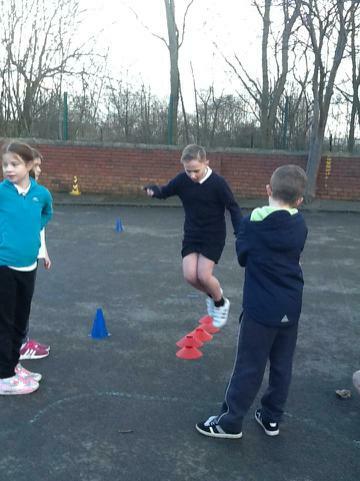 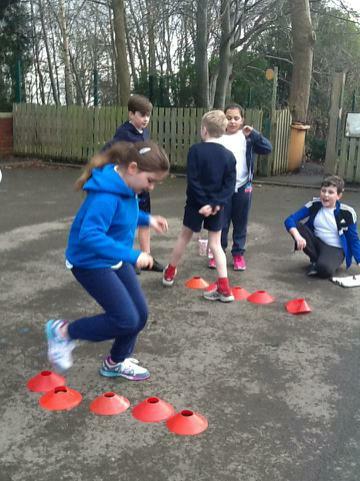 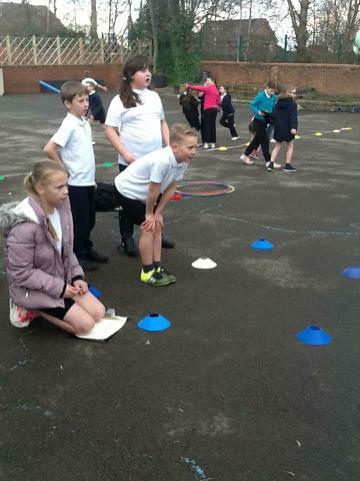 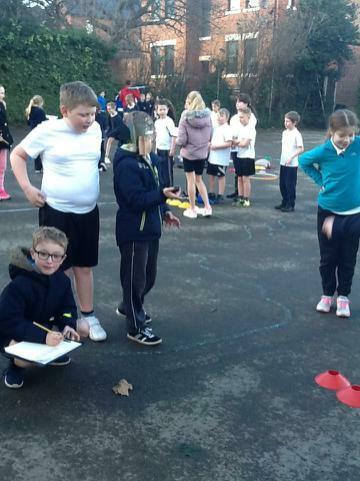 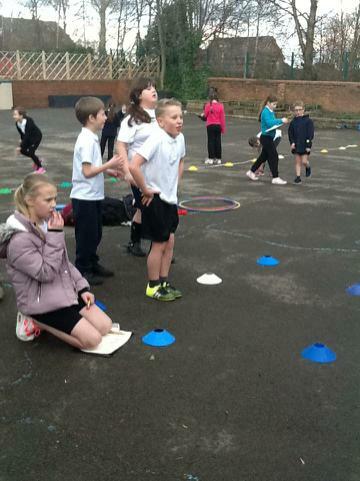 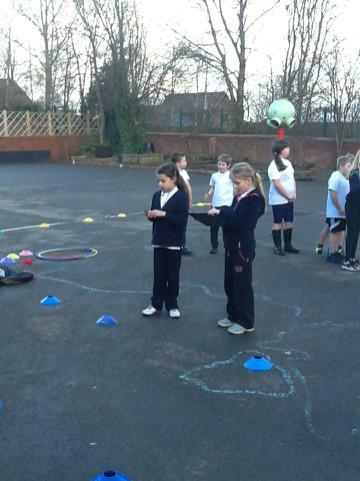 On Thursday of this week our play leaders led a sports competition for classes 2 and 4 with Mr Johnson, our coach from Active Fusion. 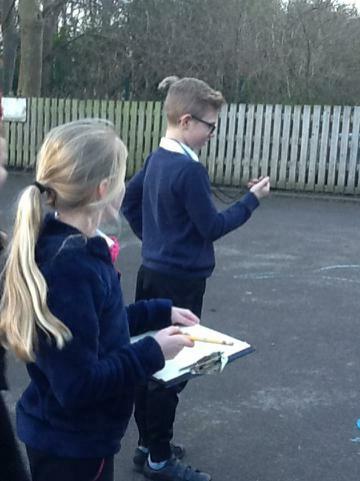 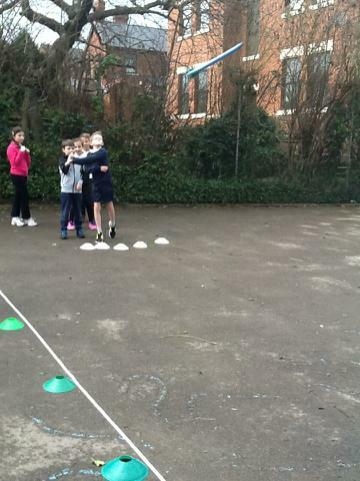 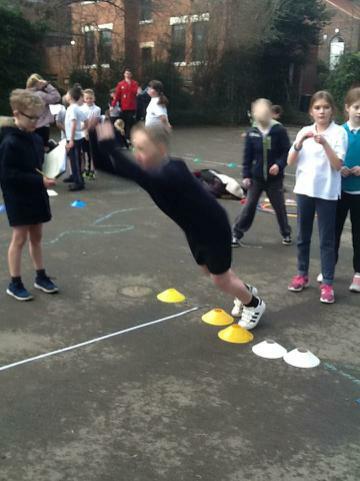 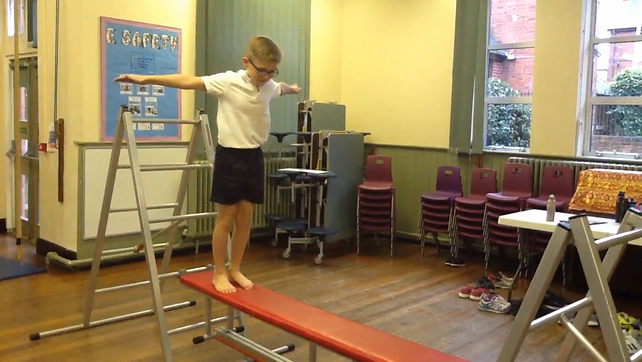 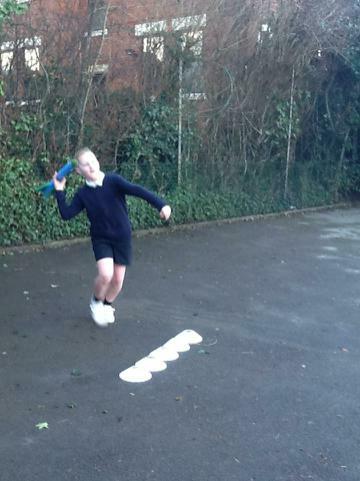 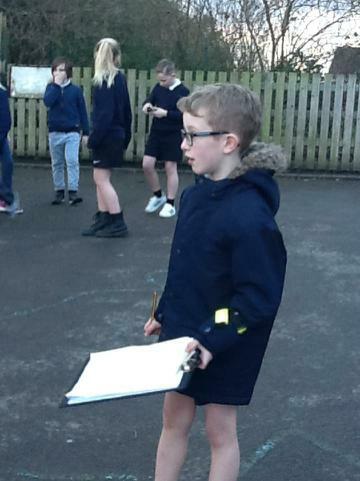 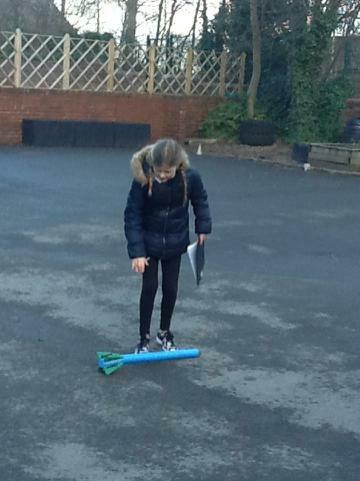 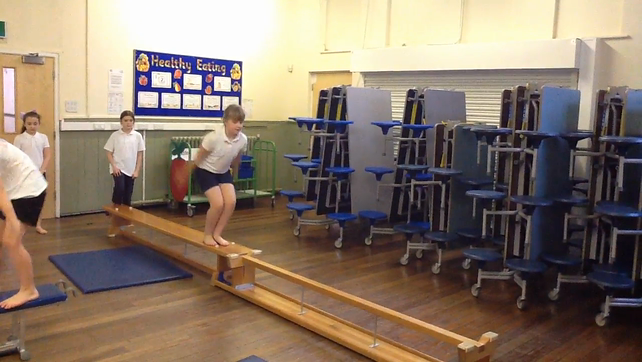 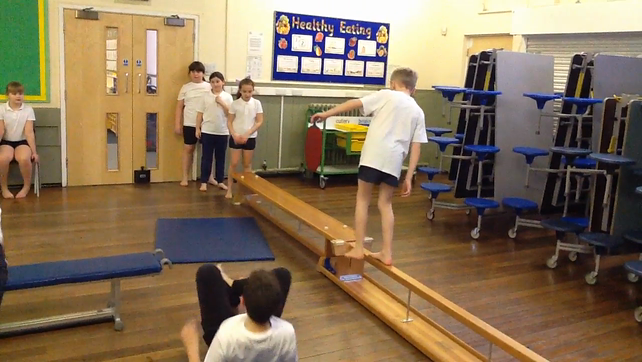 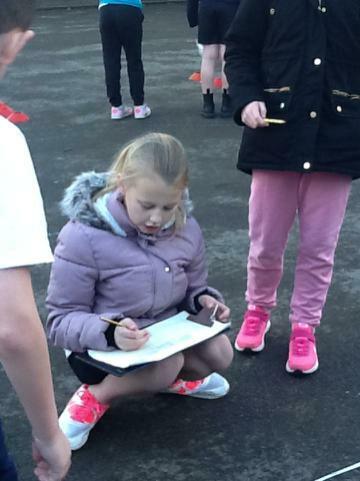 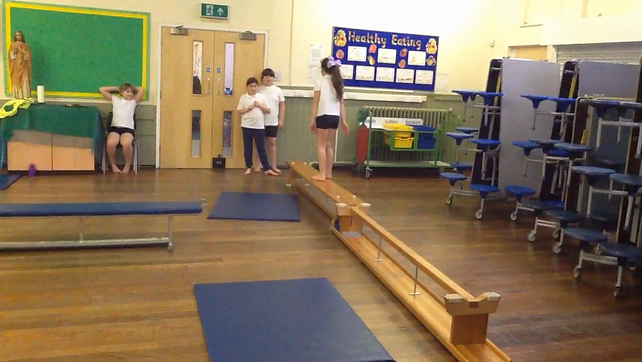 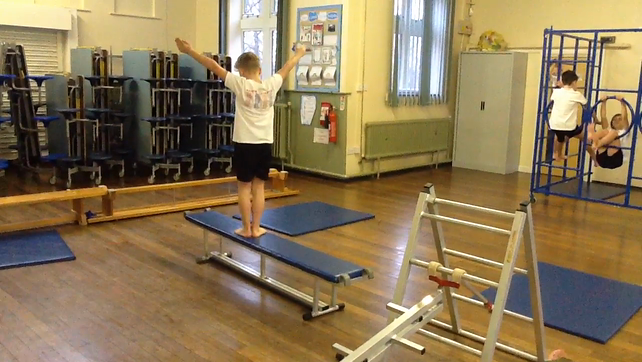 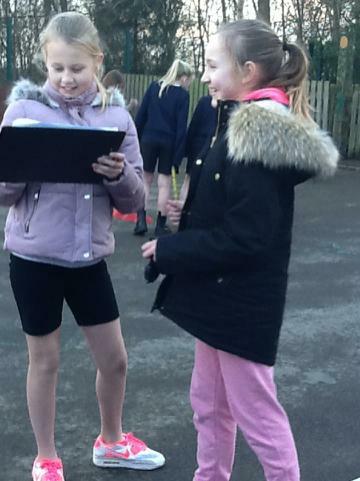 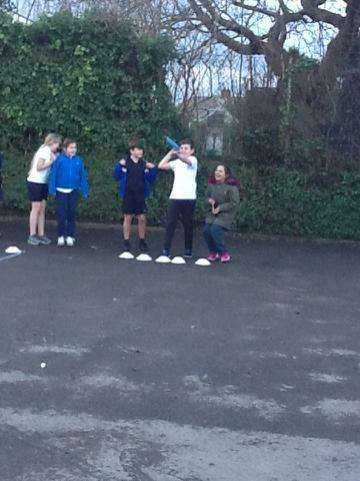 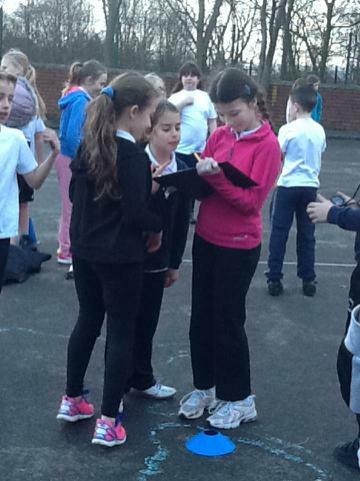 They did a sterling job, timing, measuring and recording results. 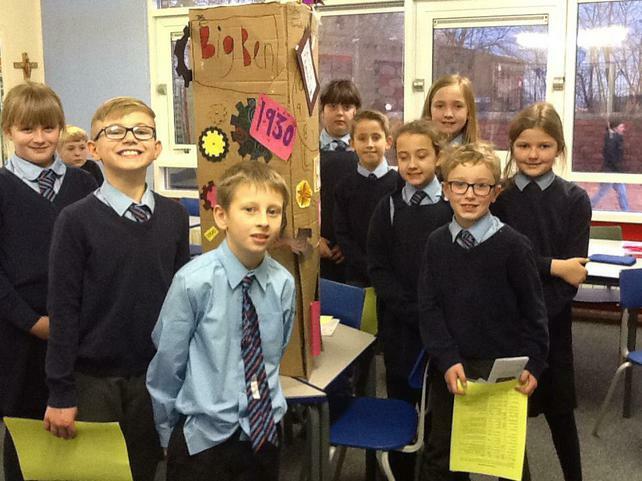 They too competed with their group. 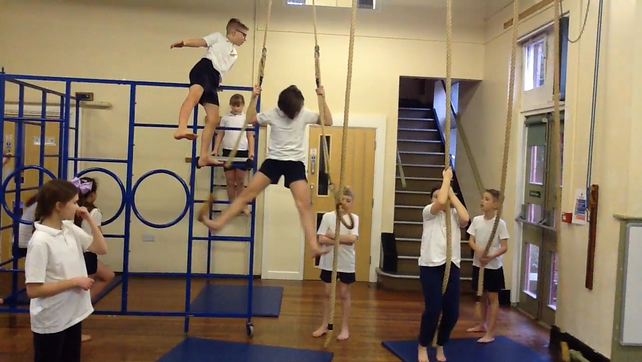 The highest scoring schools will be invited to attend an inter-school event hosted by Active fusion at the E.I.S. 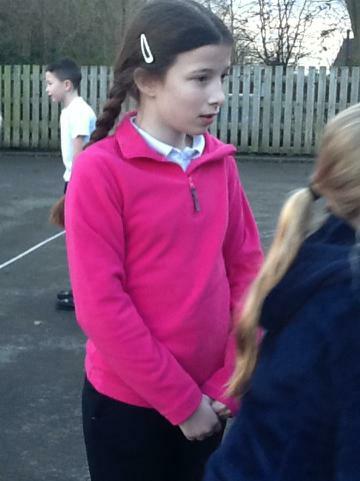 in Sheffield. 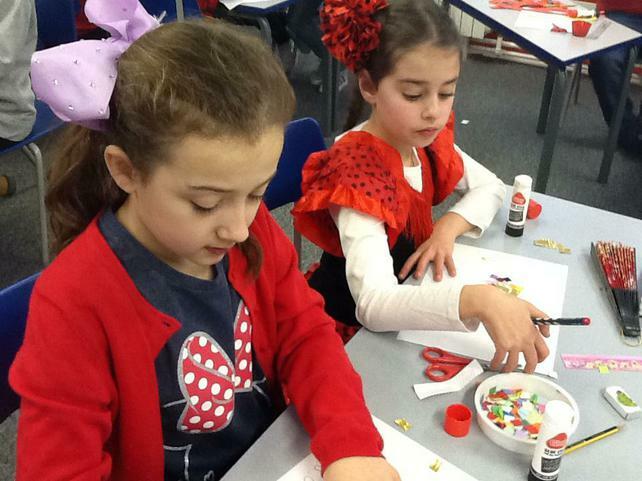 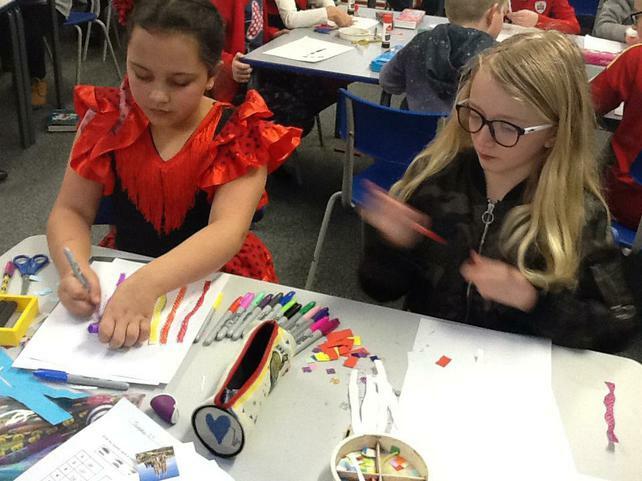 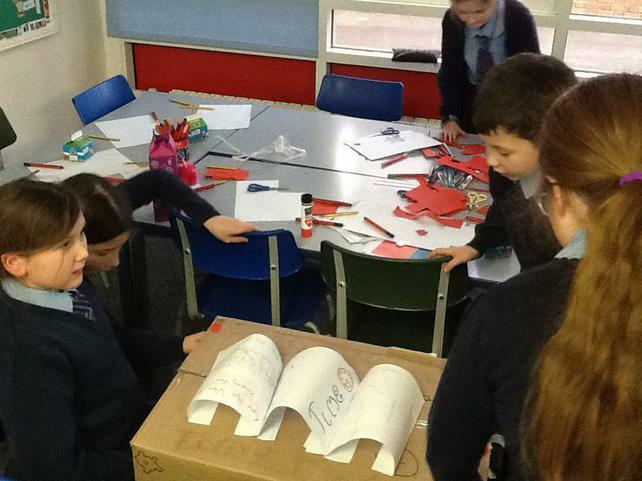 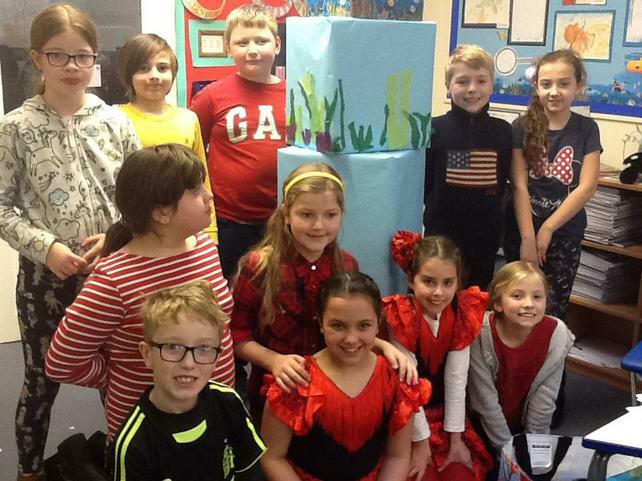 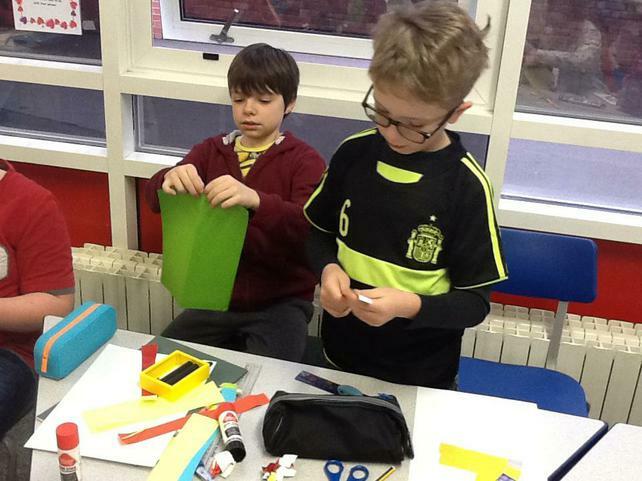 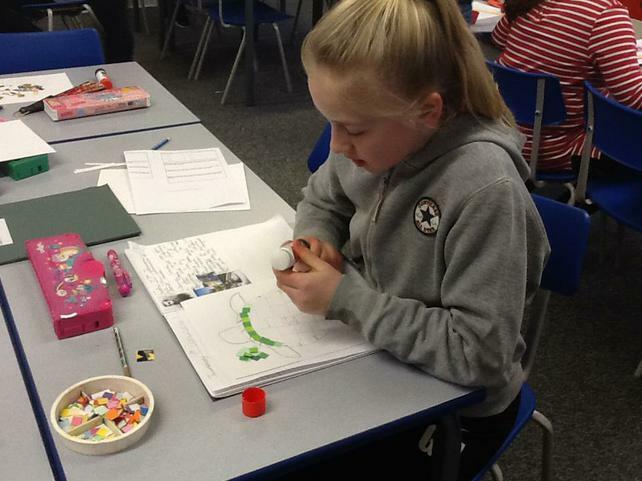 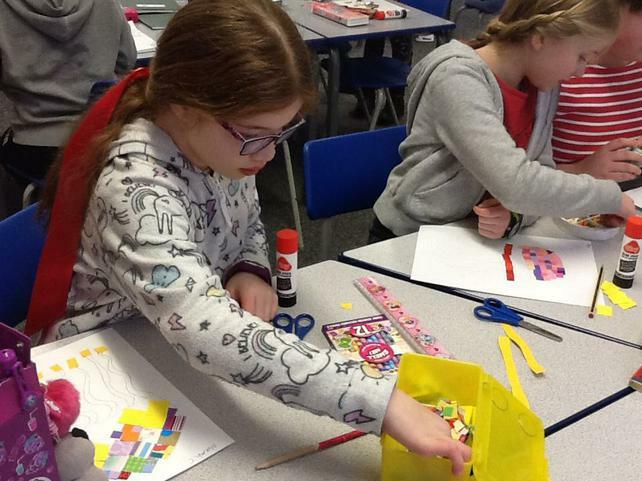 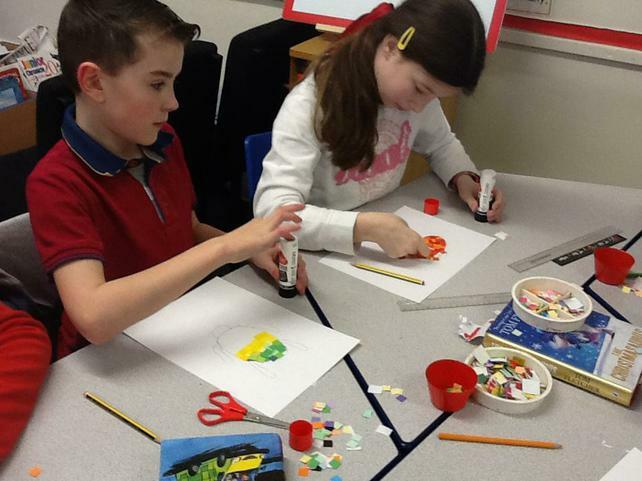 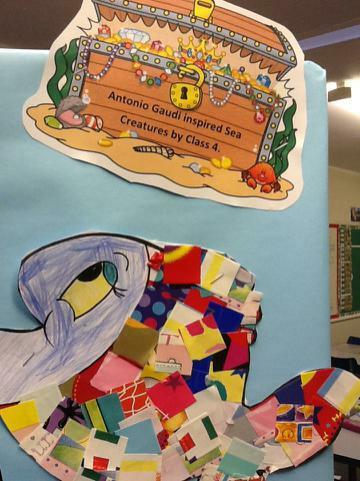 On Spanish Day, class 4 looked at The works of Antonio Gaudi, Spain's renowned architect. 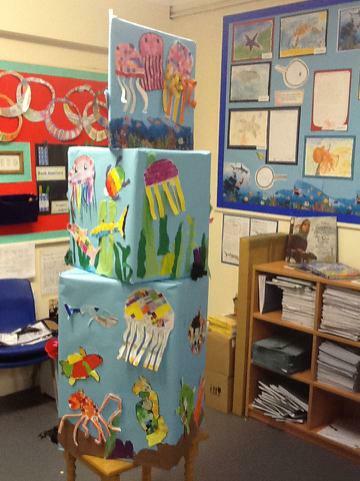 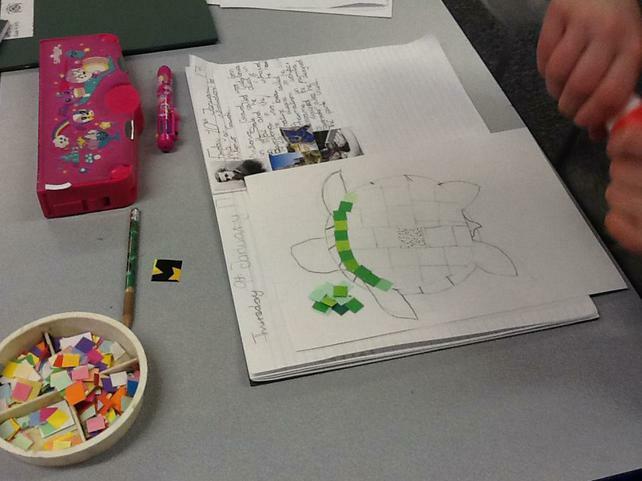 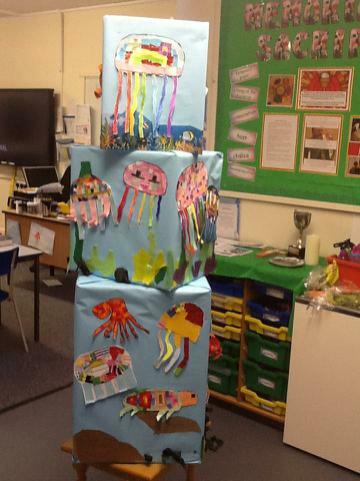 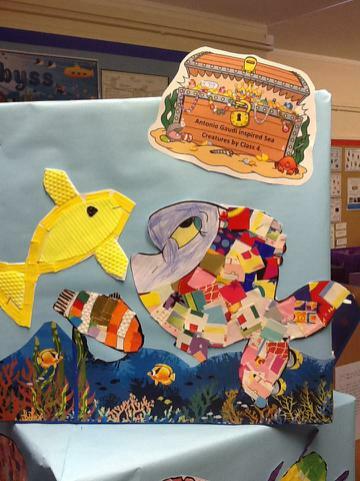 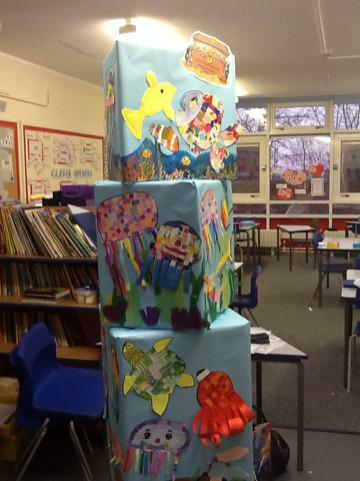 After looking at The church "Familia Sagrada" and The "Park Guell", both in Barcelona, the children made Gaudi inspired mosaic sea creatures and created an aquarium display. 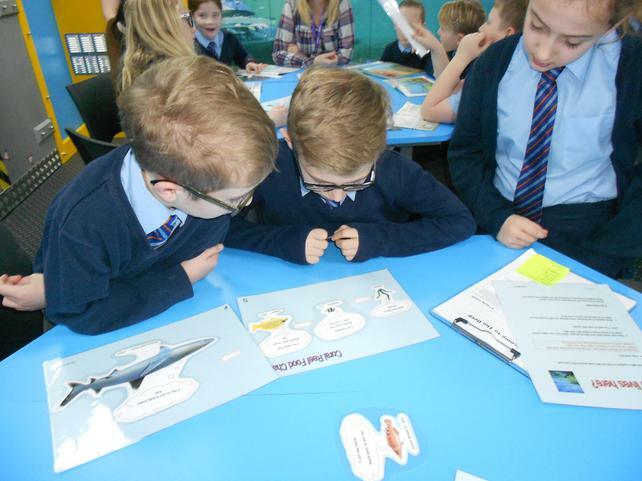 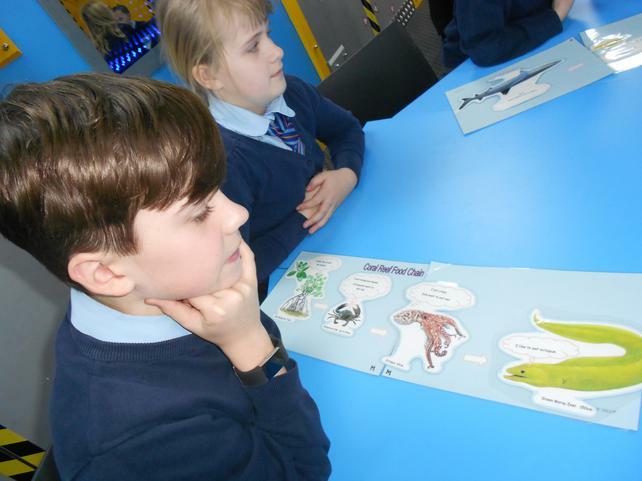 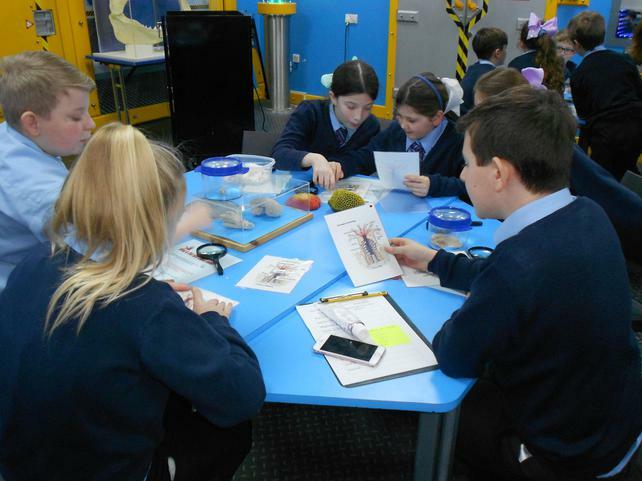 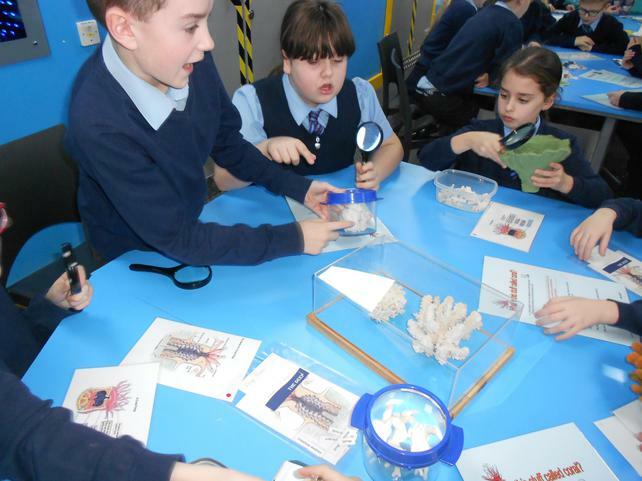 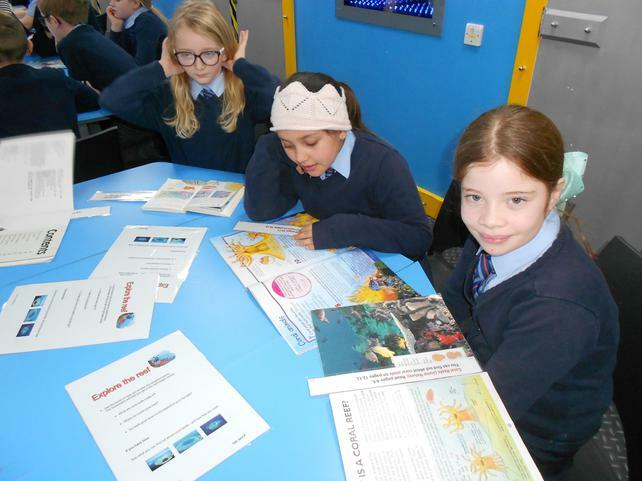 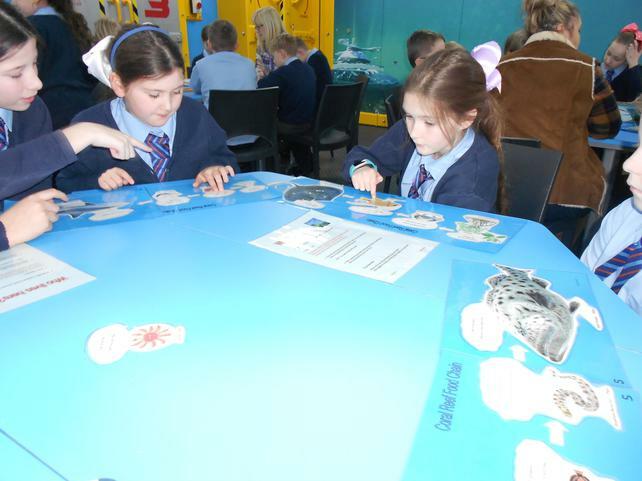 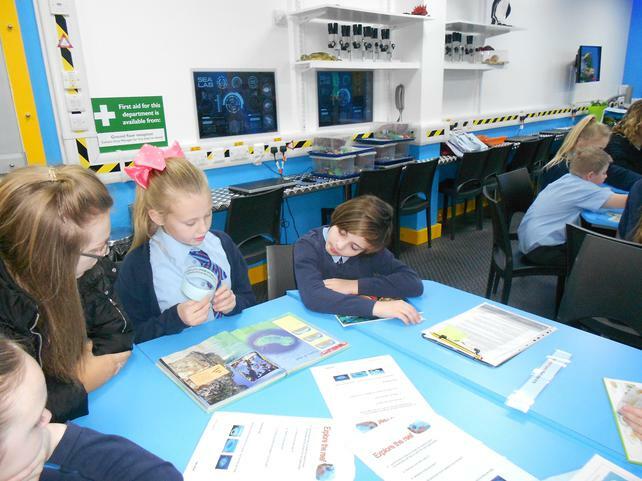 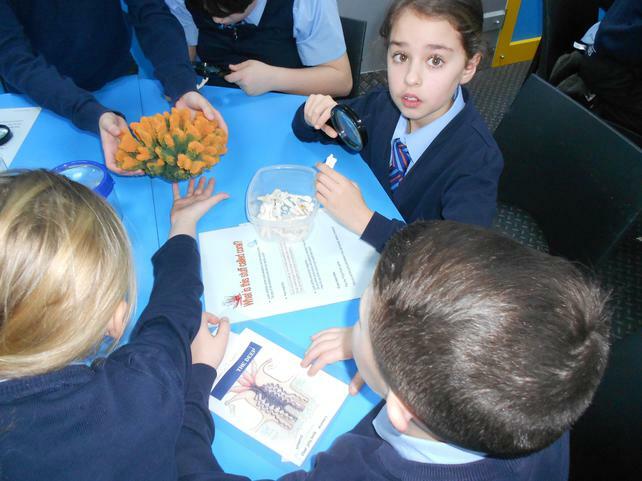 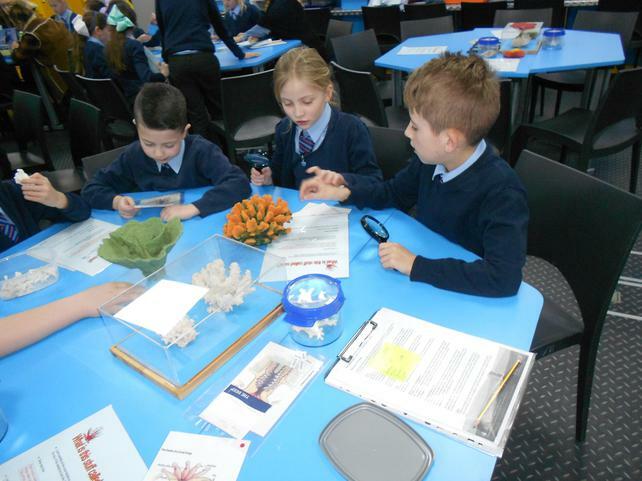 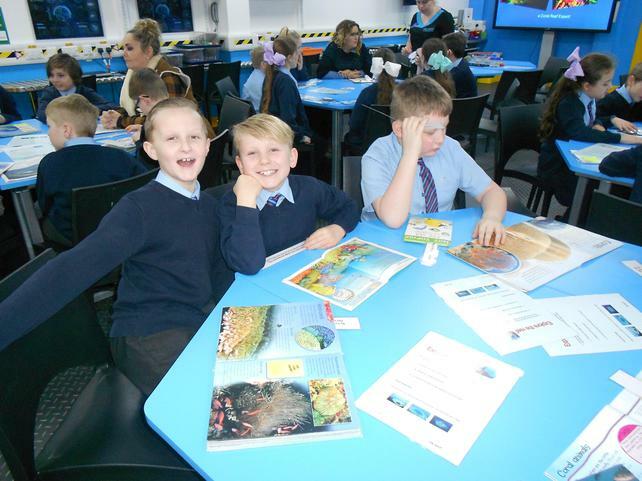 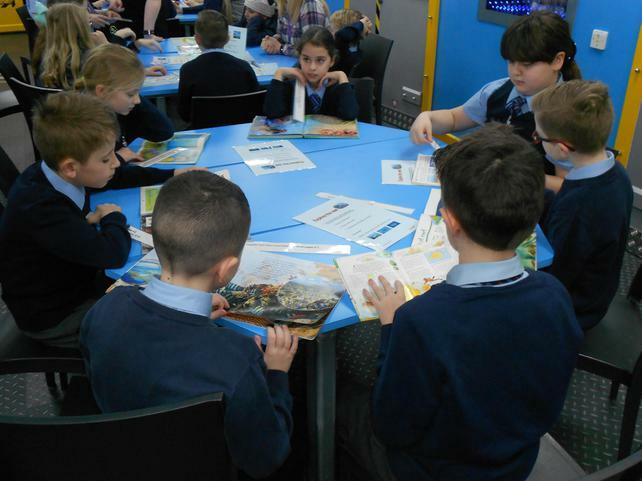 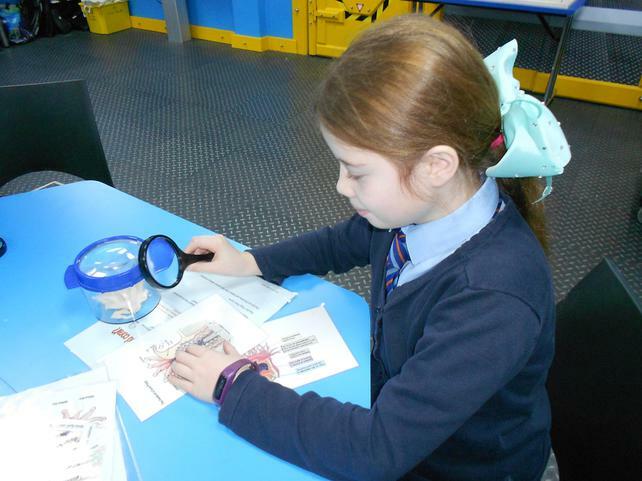 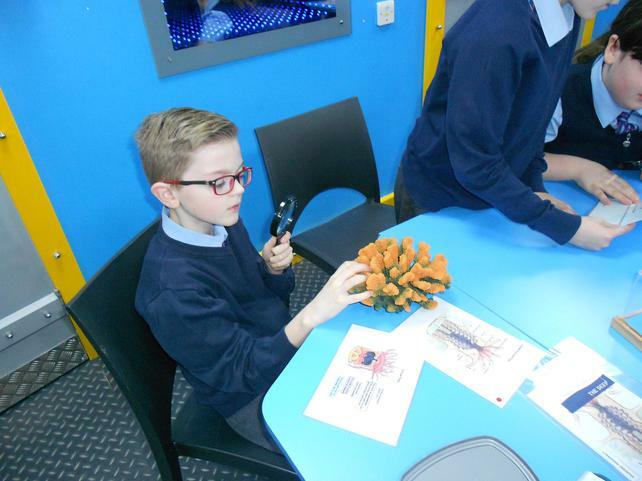 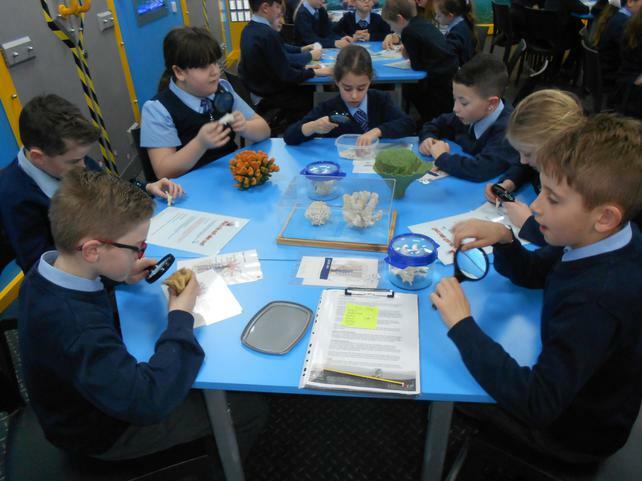 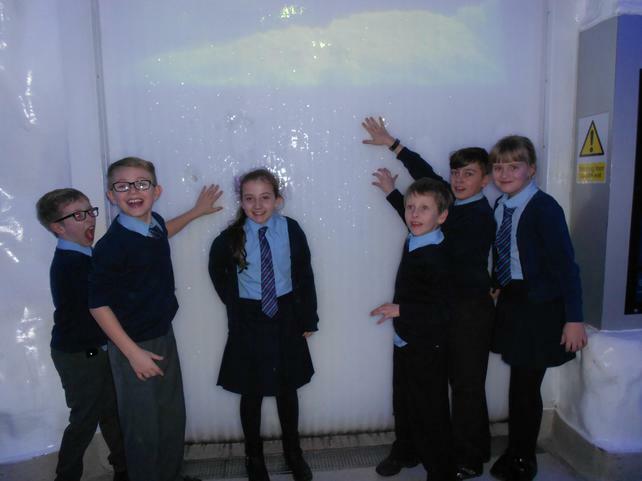 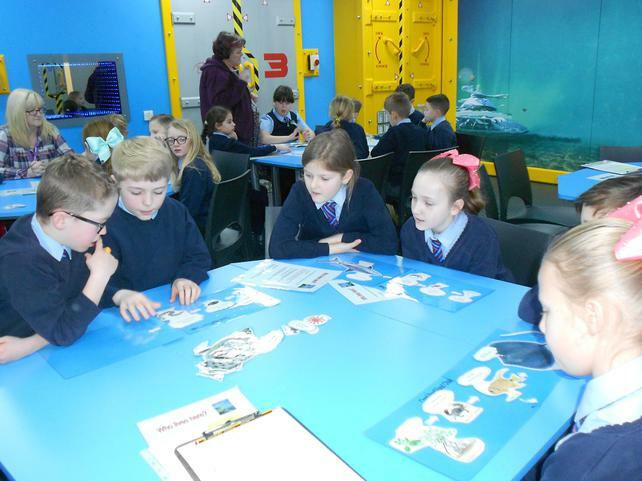 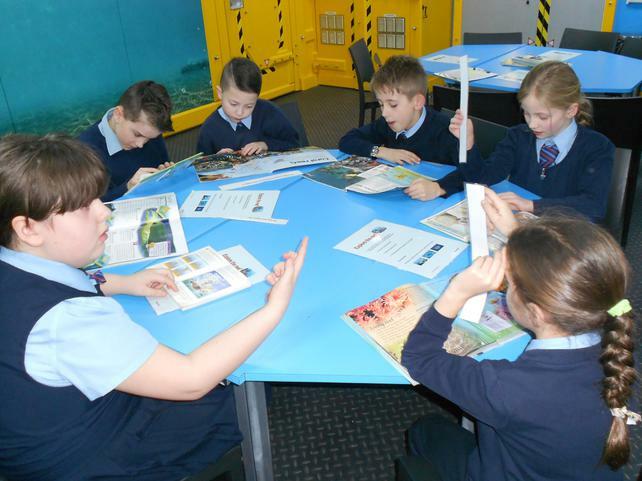 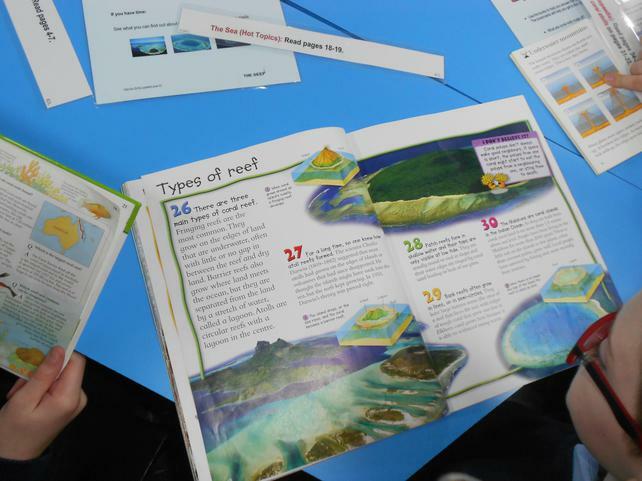 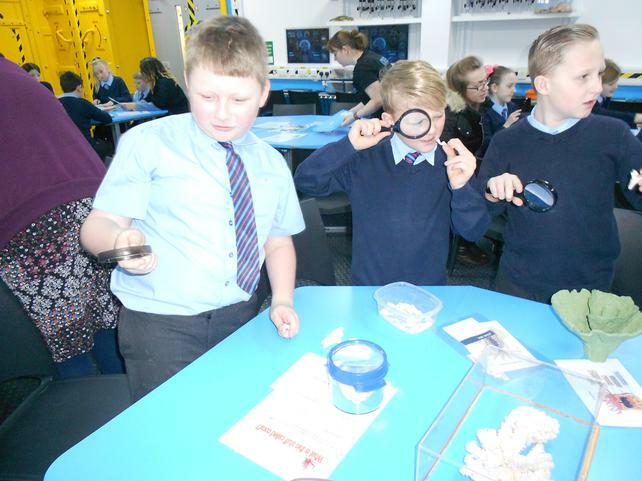 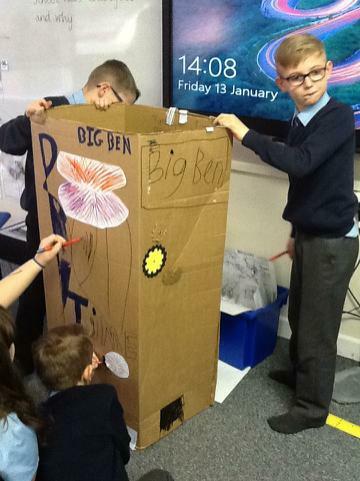 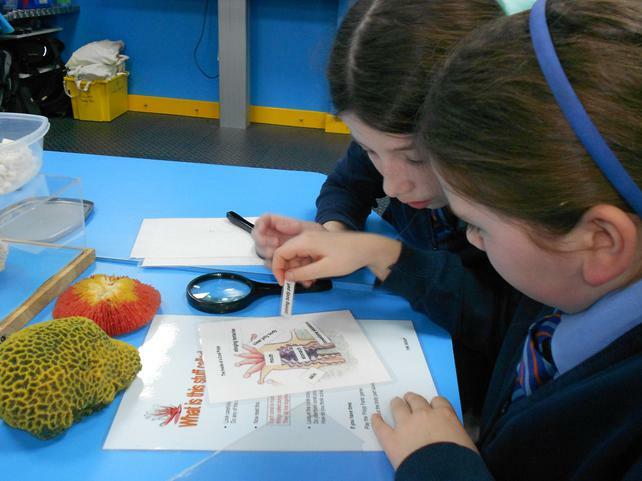 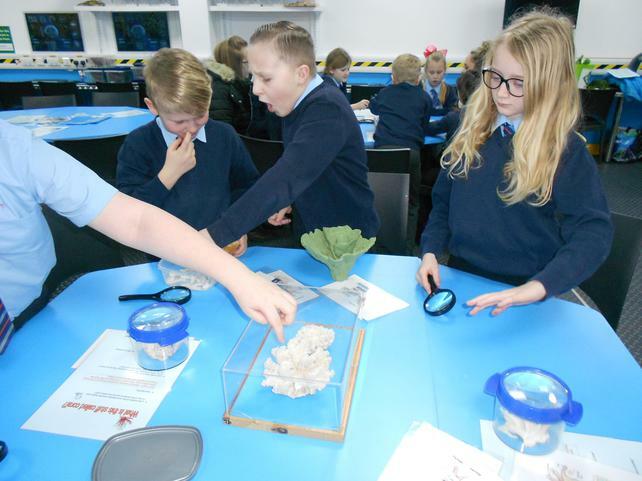 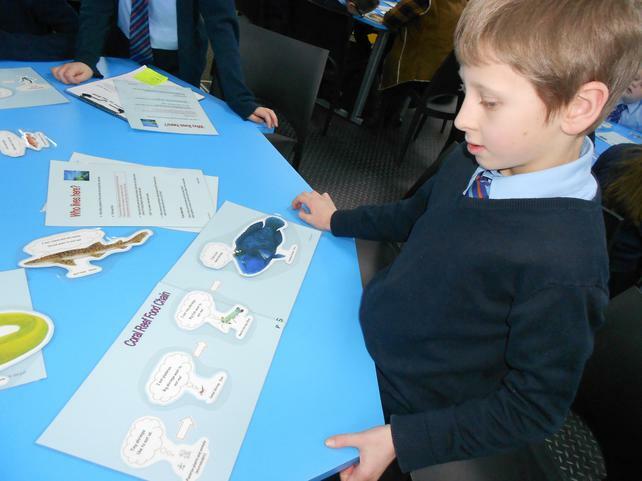 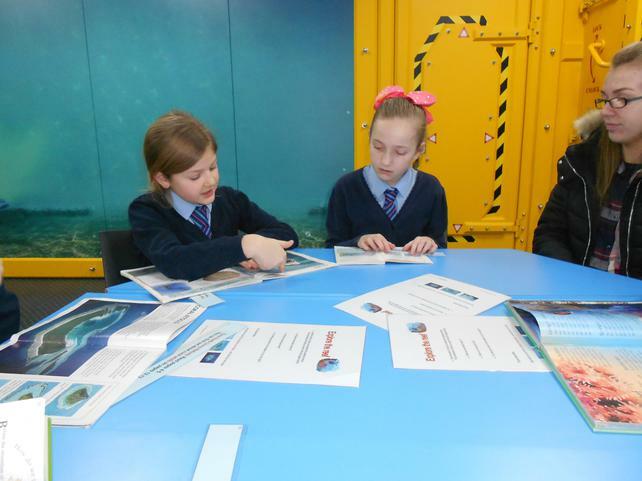 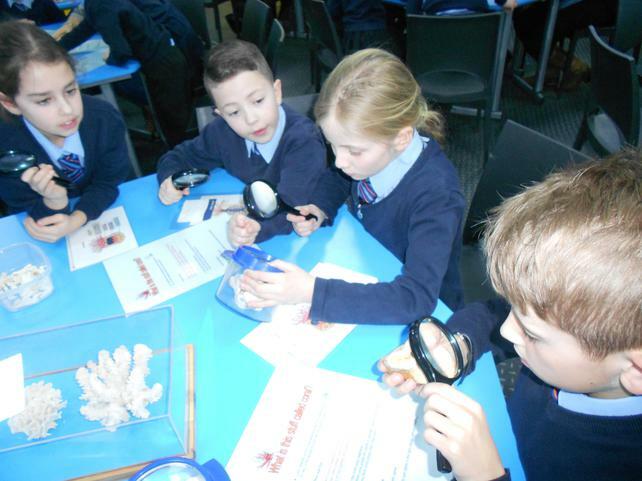 Class 4 had a brilliant day at the Deep on Friday 3rd Feb. Everyone was so well behaved and thoroughly enjoyed the experience. 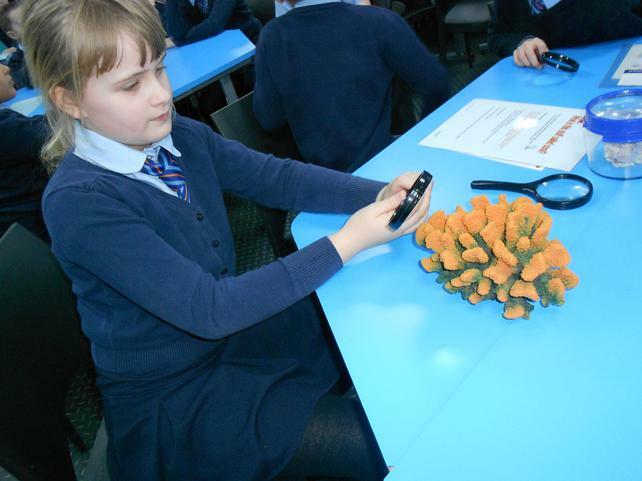 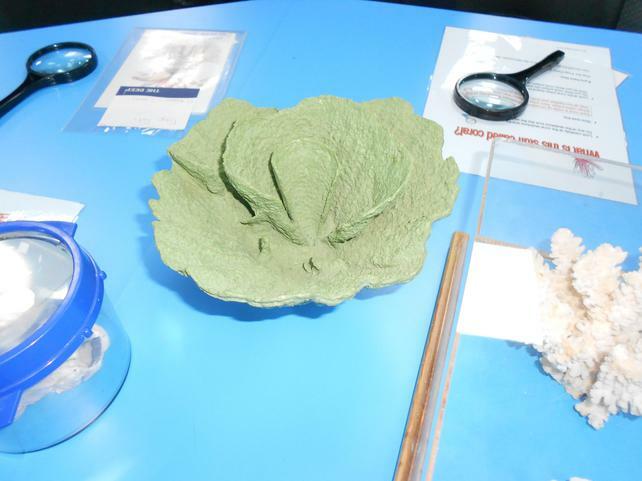 The "Coral Reef Workshop" let us see real coral up close. 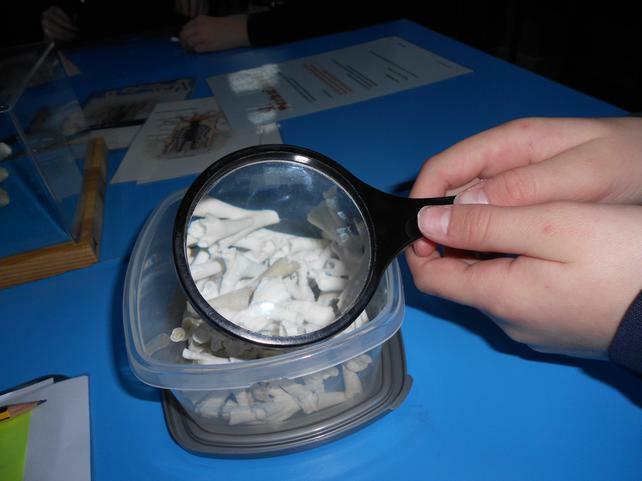 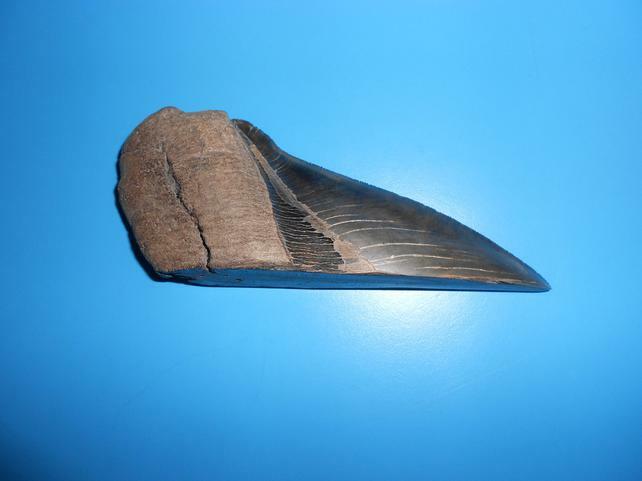 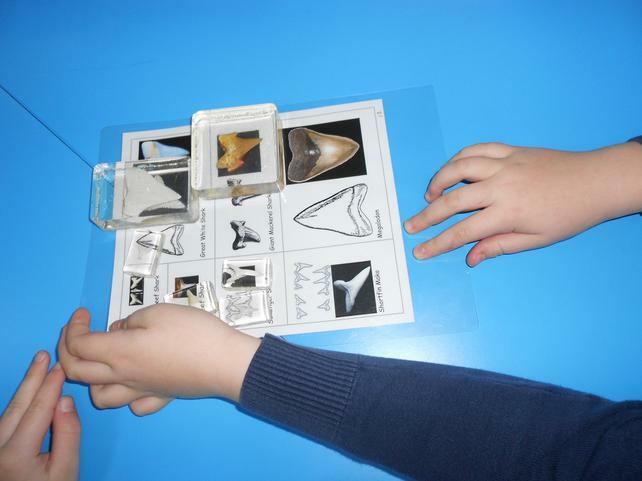 We also had the chance to look at some shark's teeth. 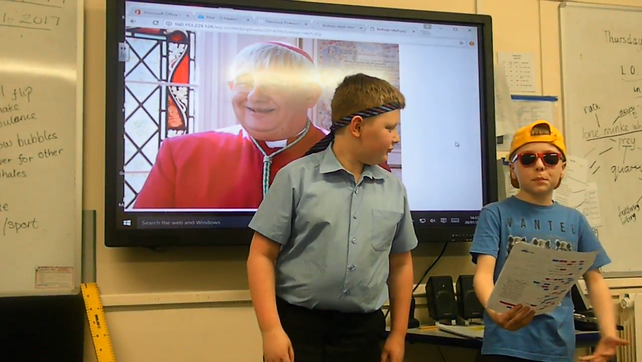 As part of RE class 4 were finding out about our Diocese and our Bishop. 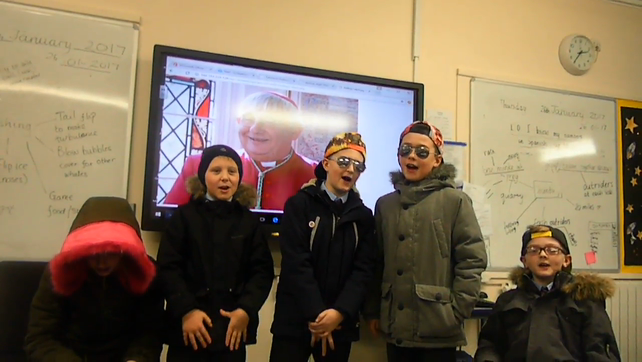 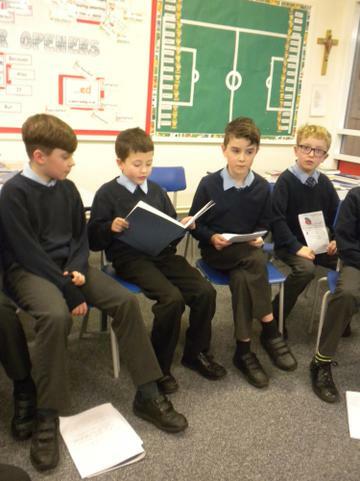 Here are some raps they wrote and performed about Bishop Ralph. 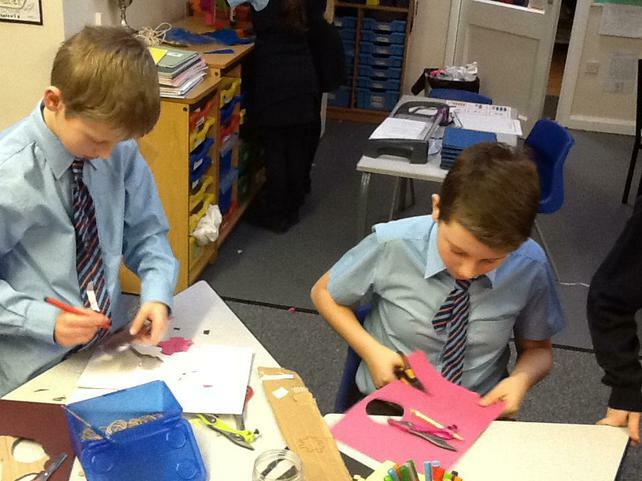 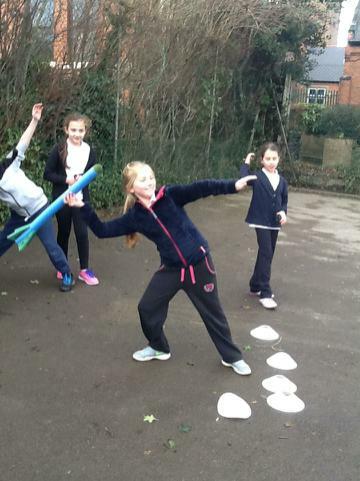 Class 4 have been working on making pike, straight, straddle, tuck and star shapes; then building a sequence that "flows" together. 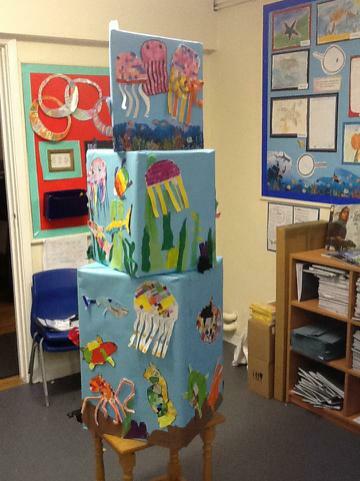 Here is some of our work on the apparatus. 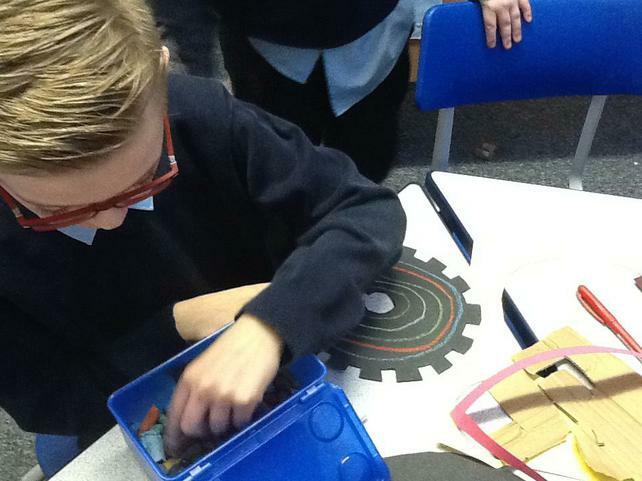 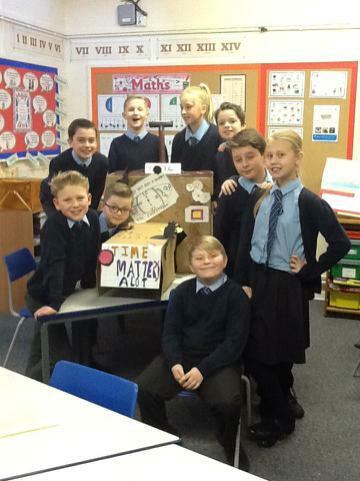 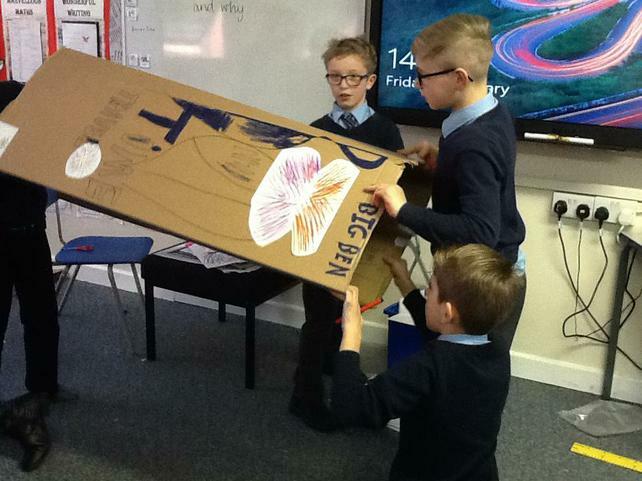 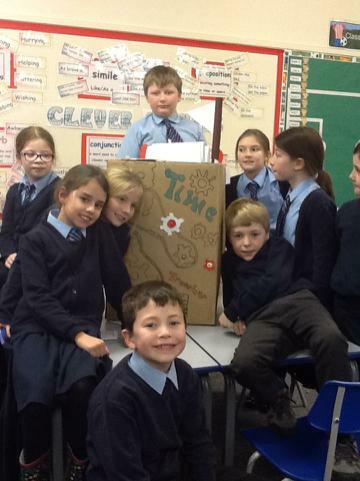 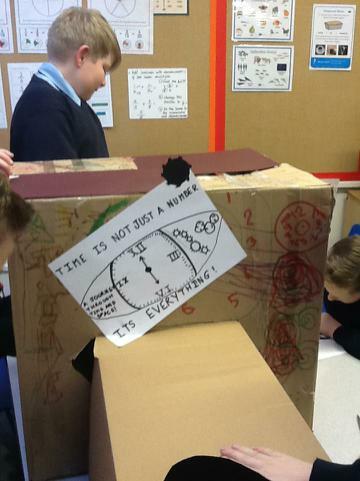 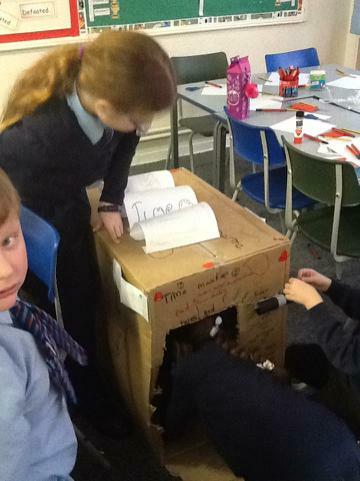 The grand finale to Time Traveller topic ; time machines! 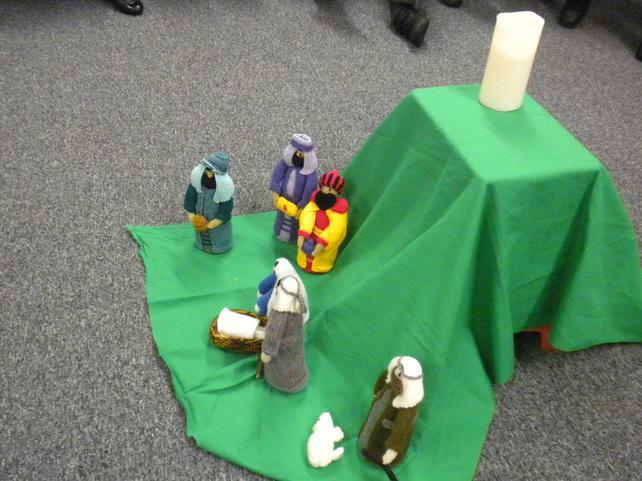 To celebrate our learning at the end of our Advent and Christmas R.E. 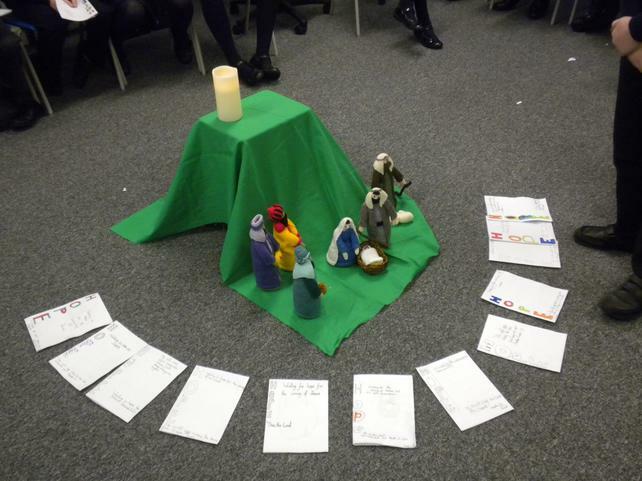 topic, Hope, the children chose phrases, quotes from Scripture and pictures to take home with them. 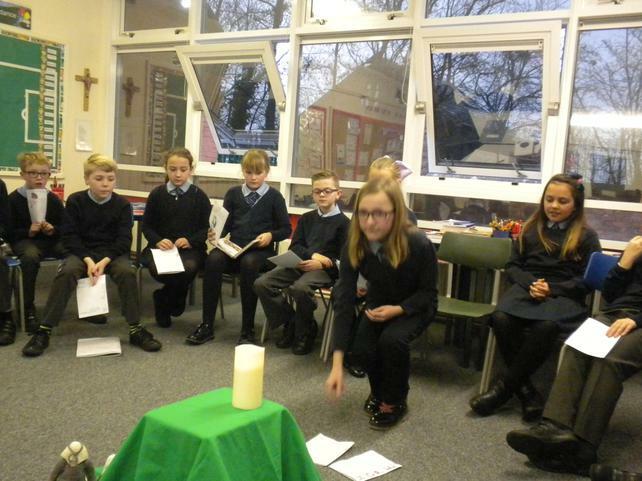 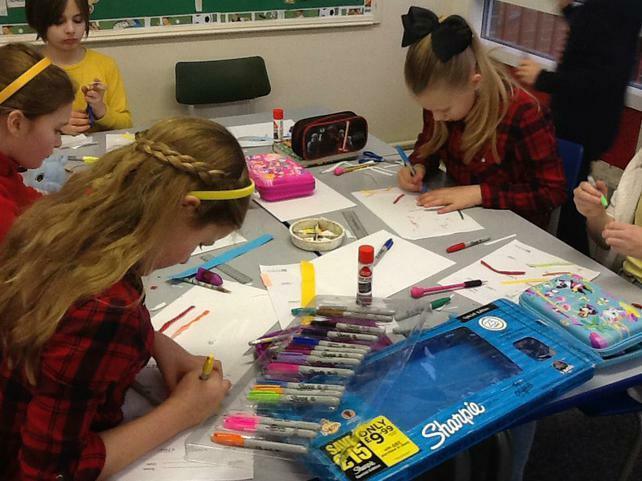 We celebrated by gathering together in the classroom on the Feast of the Epiphany. 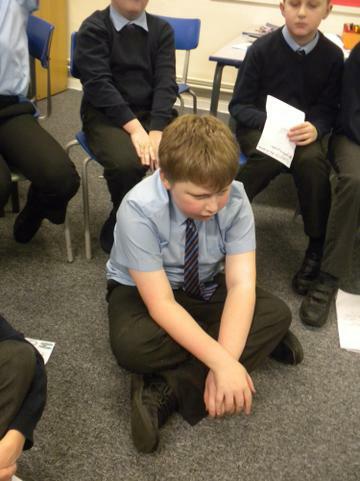 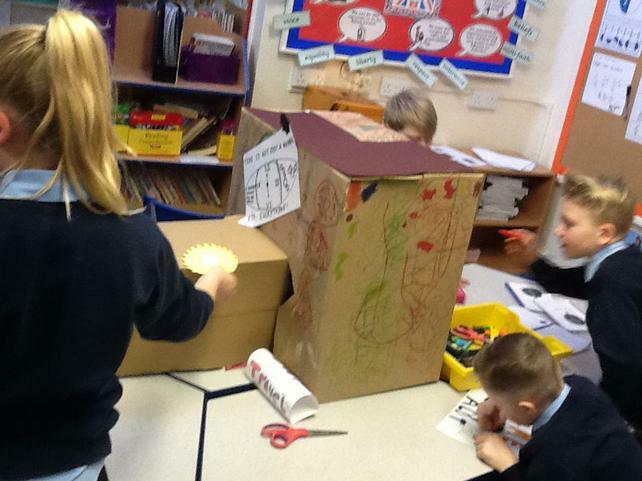 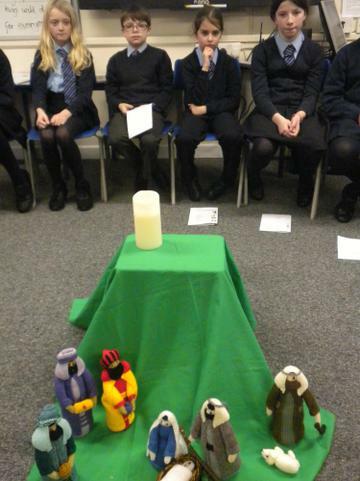 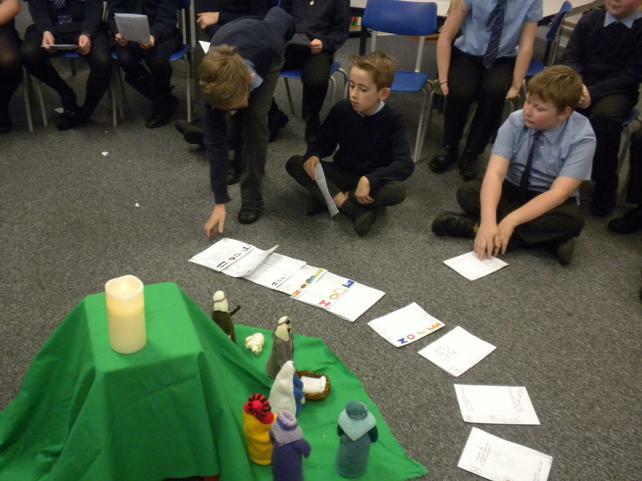 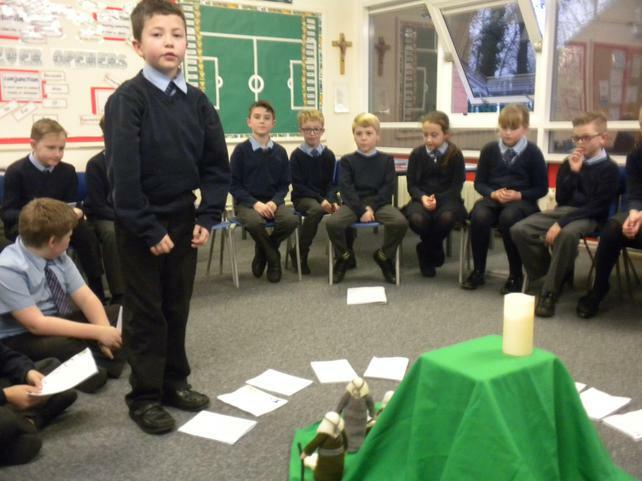 The children decided how to start, which work to share and which Scripture reading to listen to. 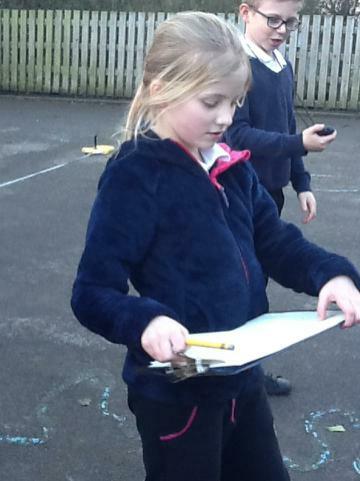 We ended by singing "We travelled so far, to follow the star". 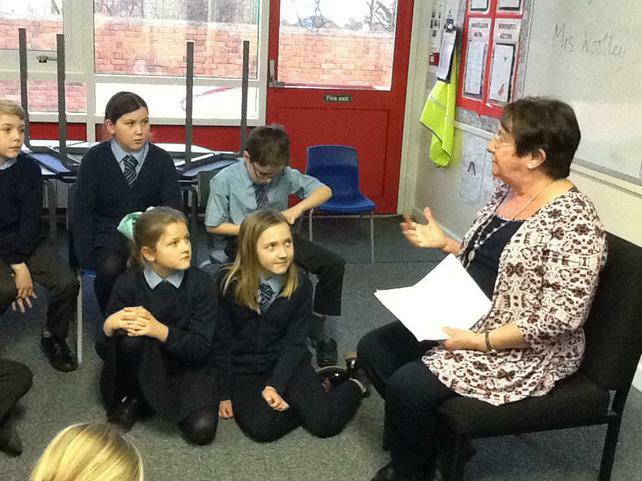 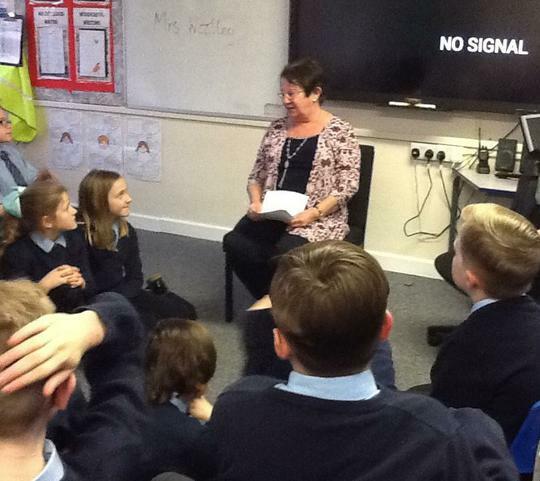 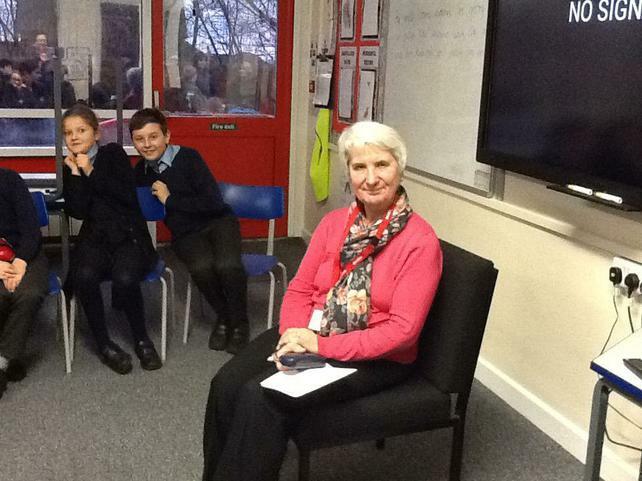 Mrs Woolley and Mrs Etheridge, both grandparents and past pupils of our school, talked to class 4 about their school experiences. 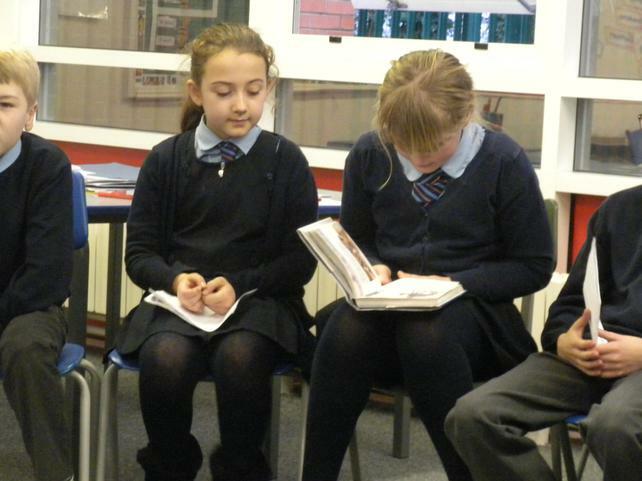 How the school has changed! 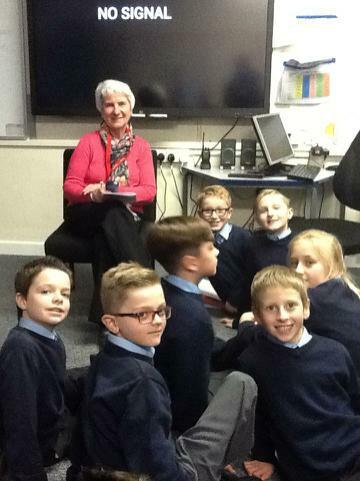 Class 1 pupils used to go to sleep on fold-up beds every afternoon and classes 4 and 3 were a playground back in the l950's!